We’ve been celebrating mums all month long at The Grounds with flamingos flocking to the laneway and our cake of the month – an amazing citrus cheesecake that tastes just as good as it looks. 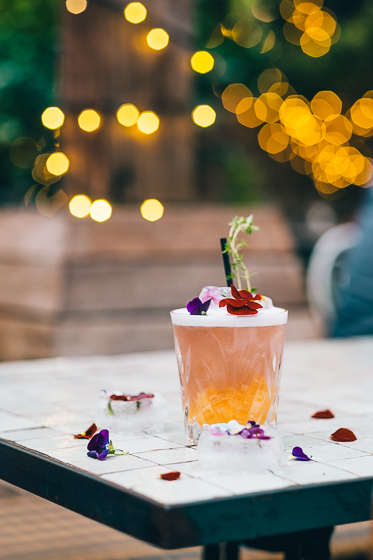 Our shed hands have been shaking up something a little special for mum too, with a Fig & Pisco Sour to balance mum’s sweetness just perfectly. 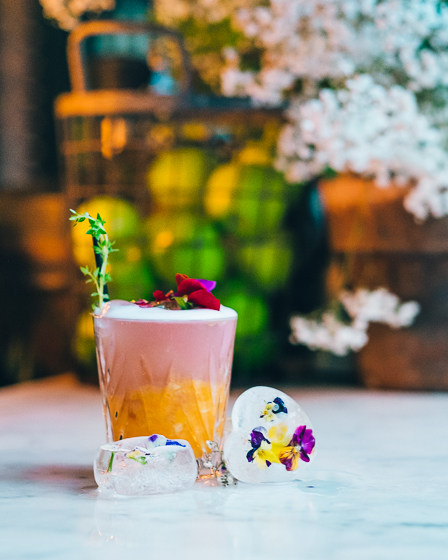 With mandarin, Pisco, fig and lemon, we promise this is a sour taste you’ll want to be left with! They’ve added an extra touch (because who doesn’t love an extra touch?) 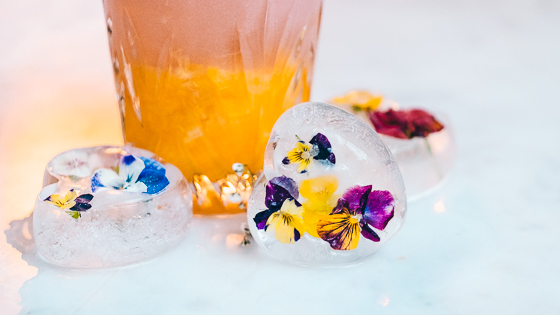 with edible floral clad love heart ice cubes using the cutest little moulds from Butter & Bright! 1. 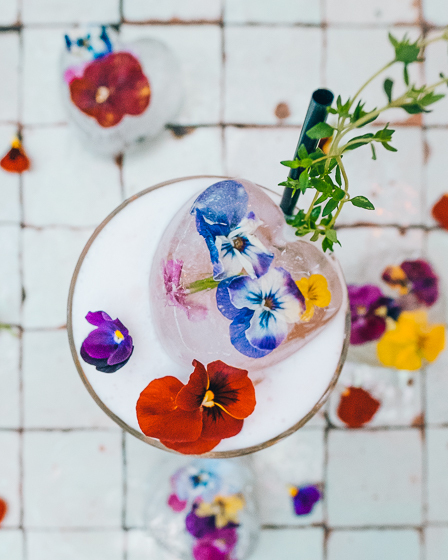 Simply add edible florals to your moulds , top with water and set in the freezer one day before. Tip: If you find your florals are floating to the surface as you’re preparing them, add crushed iced to weigh them down in the tray. 1. 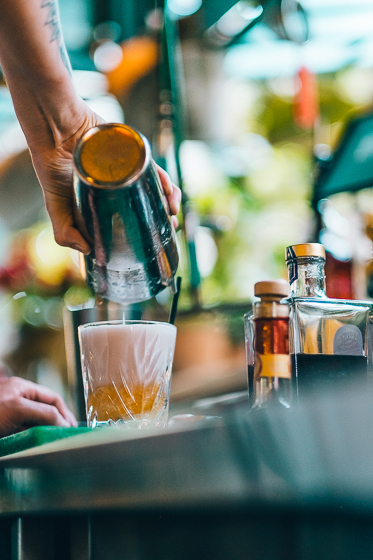 Muddle the mandarin pieces into the bottom of your serving glass, we use vintage crystal glassware. 2. In a shaker, dry shake all of the ingredients together (a dry shake is where you shake the ingredients together without ice to create a silky egg white texture). 4. Strain and serve over mandarin.